Shifting cultural outlook about middle aged women. — Here's to living a self-fulfilled and purposeful second half! If you've landed here, you're likely a woman age 45+ or a younger woman facing the dreaded 'middle age.' Either way: You're in good company! I became 'old' way too young. I've been responsible, serious and 'on track' since I was 14. My boyfriend of 5 years and I decided to finally get married because we were acting like an old married couple anyway [happily we both broke through to middle aged hotness, now happier than we've ever been]. After years of watching my fit husband go to the gym for 5+ days a week and eat cauliflower for snack, I launched both daughters [c'mon, we know Momma is the one who really launches the kids, no?] and had my own breakthrough to hotness [with the help of my personal trainer daughter!]. I'm now fitter than ever, happier than ever, more spiritual and make more impact every single day than the last two decades combined. And, I have more Confidence than ever that I am on the RIGHT track now [not just on the track]. ...that I'm going to be writing about in my new book: DISCOVERING YOU AGAIN, 5 STEPS TO A self-fulfilled and purposeful second half. IF YOU ARE INTERESTED IN BEING ON THE LAUNCH TEAM FOR THE BOOK, receiving a free e-copy in return for a written review, EM ME RIGHT AWAY AT SUSAN@CONFIDENT-LIFE.COM subject: LAUNCH TEAM [Publication date: early 2019]. 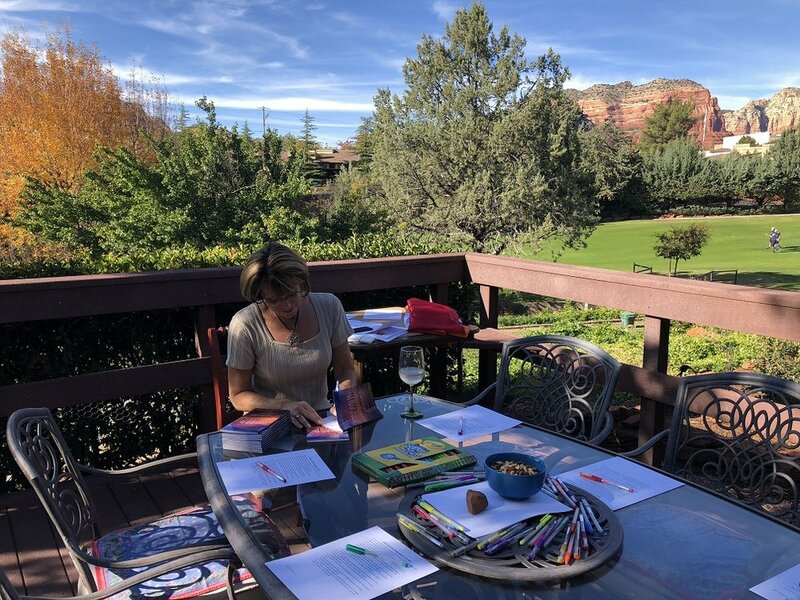 VERY SPECIAL REALLY GOOD FANTASTICO OFFER: I developed the DISCOVERING YOU AGAIN PARTY [aka DYA workshop] and I launched in Sedona, AZ! Signing books for Discovering You Again workshop launch! If you want to bring a Discovering You Again Party to your community or to your women's group/book club/sister circle or where ever your middle aged women friends are hanging out, text me now and let's get it set up-you'll be included in my next book and on this site as a Pioneer! My travel and accommodations need to be covered and participants will be charged $100 each….the fee will exponentially expand once the new book is published. AGAIN, TEXT 'DYA PARTY' TO 518-495-4573 AND I'LL GET BACK TO YOU RIGHT AWAY AND WE CAN GET IT SCHEDULED. Here's my defining Discovering Me Again selfie....what do you think? OH WAIT....I DON'T CARE WHAT YOU THINK!! You raised your kids [they're launched! ], you grew your career [you're bored] and ...NOW WHAT? You're looking for purpose and passion in your second half? Get your mind out of the gutter! Passion comes in many stripes--stick with your partner or yourself and find passion around LEGACY. This book will cover mind, body, soul, prosperity consciousness and legacy. Get ready to do the work with many questions and Tools! Built in to everything related to this endeavor will be a Tithe to support organizations serving to empower, teach, inspire and uplift girls or women. My goal is to grow a fund and offer micro-gifts to motivated women facing tough times and to organizations that just need that little bit to do a lot more, and other creative and inspired opportunities that come along. I'll be looking for them! 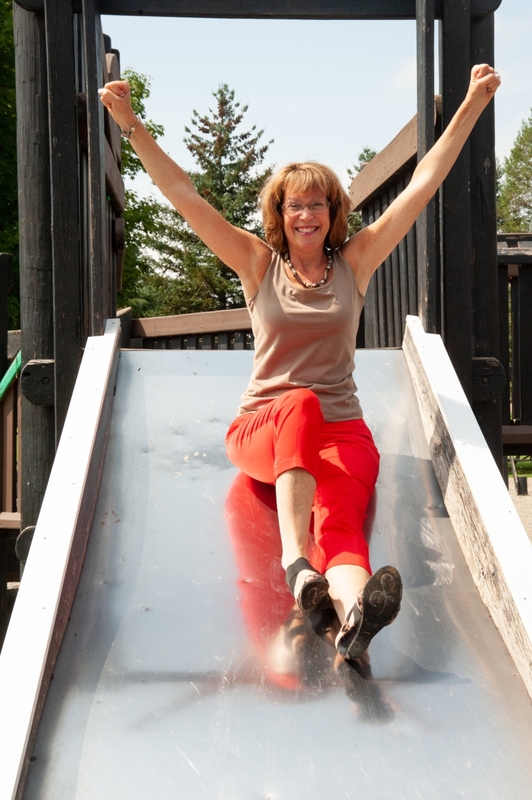 If you have anyone or anything to recommend, please let me know at: susan@confident-life.com! Working together, you can make the impact you've dreamed of to make our world a better place. Imagine the Possibilities! Can YOU live a Confident-Life™?